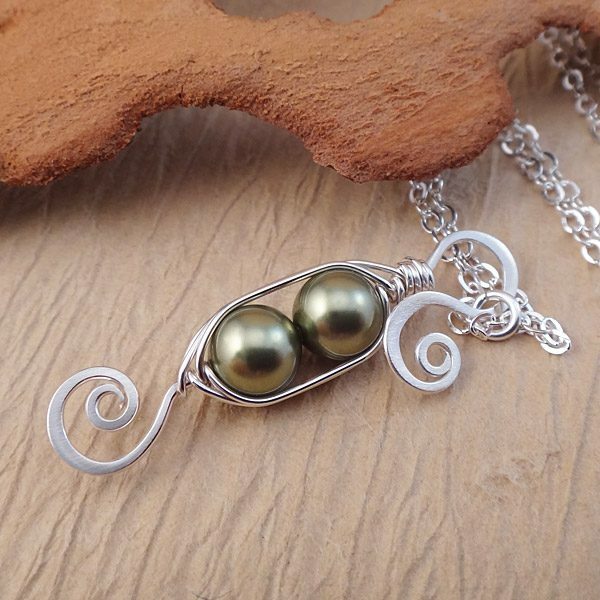 This wonderful green pea pod necklace design is carefully handcrafted, using sterling silver and two lustrous green swarovski pearls. 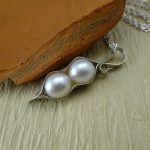 The pea pod pendant measures just over 1 1/4 inches (34mm), and comes on a 16″ sterling silver chain which is then finished with a handmade clasp. 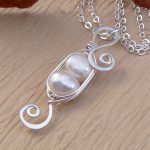 As an added touch a smaller pearl sits on the other side of the chain. 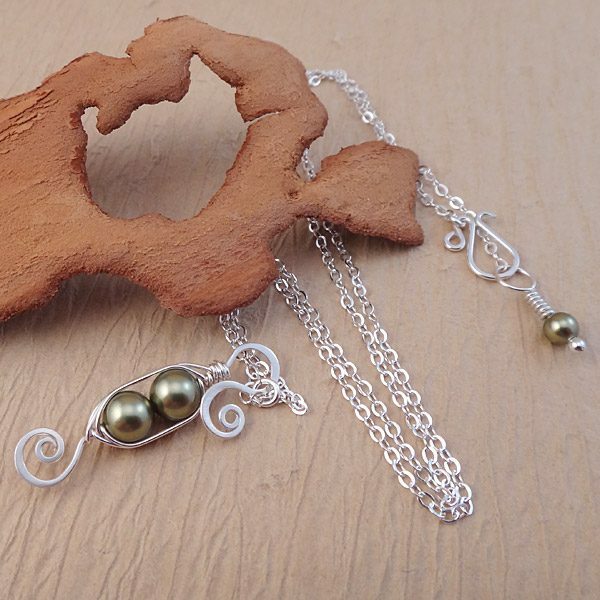 A longer chain is available if desired. 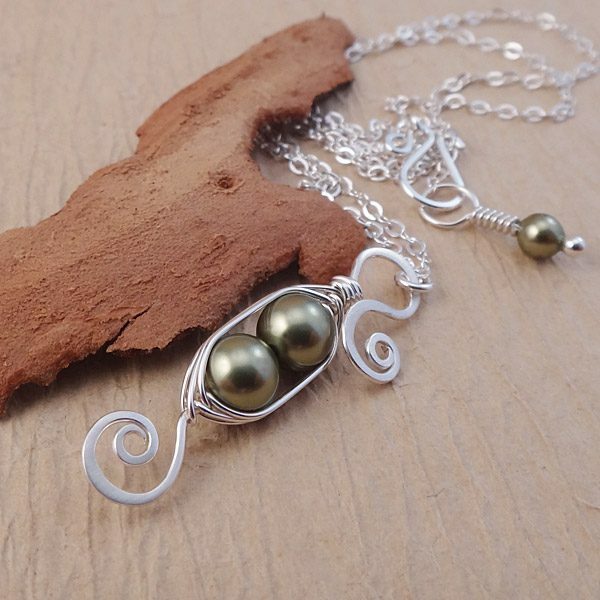 Each two green pea pod necklace is lovingly and individually handcrafted, with great care taken to the smallest detail. 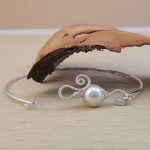 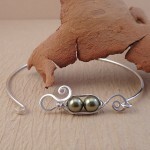 For an extra personal touch please check out my birthstone and initial charms section. 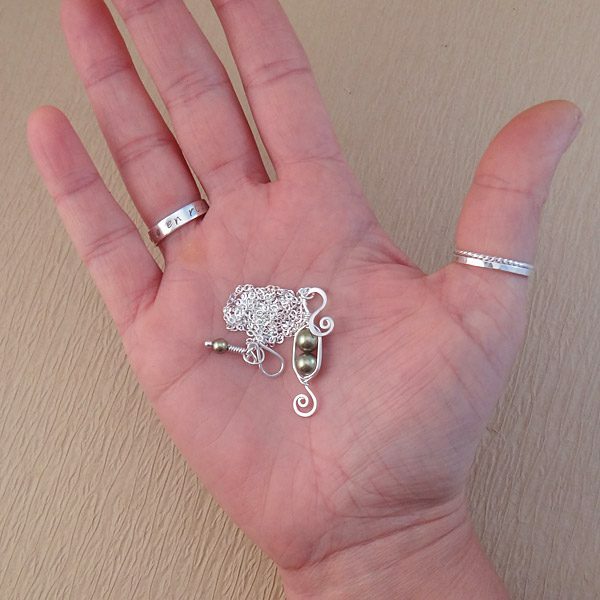 All orders are shipped in an Eco-friendly recycled jewelry box and come with a polishing cloth to help keep your jewelry beautiful and sparkly. 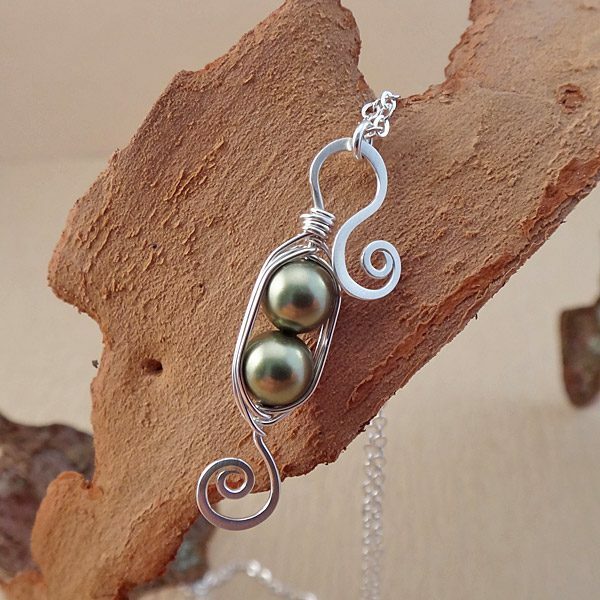 If you have any questions regarding this green pea pod necklace, please e-mail me.